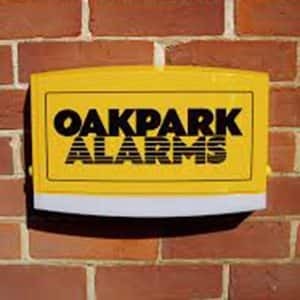 For three decades Oakpark Group has remained at the apex of the intruder alarm market. Our strength has always been in our ability to provide customers with bespoke alarm system solutions that are at the pinnacle of innovation – an attribute that’s core to our ethos today. We can design and install an intruder alarm system that’s 100% tailored to your circumstances and environment. 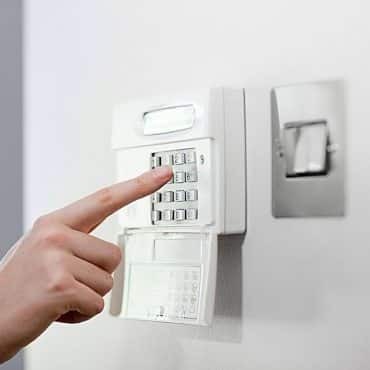 Whether you require a domestic alarm to ward off potential home intruders or an alarm that secures multiple floors of a commercial building, we can provide you with complete peace of mind. Fully-accredited to NSI Gold standard, our product certification is complemented by relevant sector-specific quality management. This level of accreditation demonstrates the greatest perceived value in the security sector and is valued by insurers, the police, and fire and rescue services. Committed to home security, we provide customers across the UK with complete peace of mind that their homes are protected by a responsive home alarm system. Statistics show that homes with an efficient domestic intruder alarm are 80% more secure than those without one. Our domestic wired and wireless intruder alarm systems protect your family and belongings by providing a strong deterrent to opportunistic law-breakers. All our domestic intruder alarm systems are meticulously installed to the highest standard. All installations are completed by fully-trained engineers, overseen by our dedicated NACOSS inspector. You will experience minimal disruption throughout the installation process and, once completed, benefit from a cutting-edge domestic alarm system. Trusted by customers across the UK for decades, we have supplied bespoke systems and completed intruder alarm installation to commercial buildings of all descriptions. From single to multi-floor offices to school and college campuses, our experience means we can quickly ascertain your individual needs before designing and installing an alarm system that proficiently secures your premises. We emphasise ease-of-operation, combined with a practical solution. Offering you the choice of a Grade 2, 3, or 4 commercial alarm, our surveyors will design an alarm system that complies with all building regulations and insurance specifications. You can choose from a range of detection sensors, allowing you to secure the most important areas of the commercial premises efficiently. 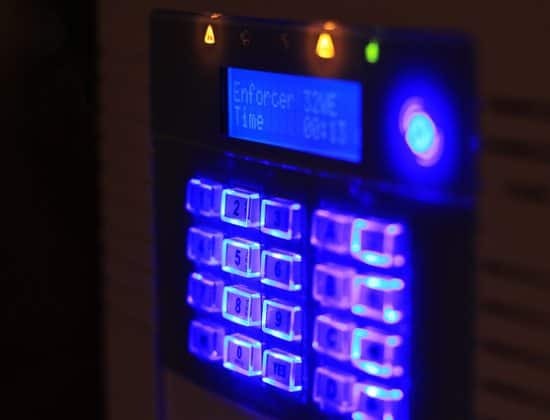 From vibrational sensors to break glass detectors – even temperature sensors for computer server environments – you can benefit from having a bespoke intruder alarm system with technology that’s at the forefront of the security sector. Our responsive monitoring service means that should your alarm be activated, it will be responded to promptly. Key holders will be contact, as will the emergency services, if required. We provide customers with a range of domestic and commercial monitoring options. 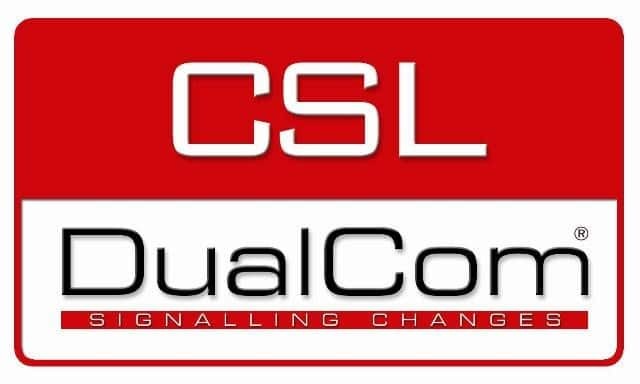 From landline autodialling to GSM (global systems for mobile communication) or police call systems via our alarm receiving centre, swift, decisive action is completed through our alarm monitoring. We can also install ATS 2, ATS 3, ATS 4, and ATS 5 monitoring, depending on your specific insurance parameters. Areas which contain high value equipment, products or personal belongings would greatly benefit from having SmokeCloak systems. Releasing a non-toxic, dense vapour that fills an environment, SmokeCloak products are recognised as one of the most innovative and efficient deterrents. An insurance prerequisite for certain sectors, SmokeCloak systems are renowned for the effective security measure they promote. When employed alongside a responsive intruder alarm system, SmokeCloak systems provide the most effective means of protecting high value environments. As a verified partner of SmokeCloak, our engineers have notable experience installing these systems to a wealth of environments. To learn more about SmokeCloak, please follow the link here. All the security systems that we install come with a comprehensive 12-month parts and service warranty. Once this initial warranty has expired, we can offer a rolling 12-month service annually. Moreover, our engineers are on-call 24-hours a day, 7-days a-week and we always guarantee a swift response. As testament to our continued commitment to our customers, we’re happy to service and maintain wired and wireless alarm systems, and bespoke security measures that we, ourselves, have not installed at competitive rates. To learn more about the leading intruder alarms we supply and install, click the link here. Call us today on 01296 713010 to receive a FREE, no-obligation quote. Alternatively, you can email us at enquiries@oakparkalarms.com or complete our contact form here to receive a prompt response.